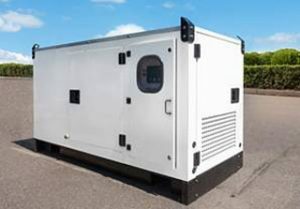 ULEMCo will debut its hydrogen-powered, 50 kW (KVA) zero emission electric generator set that can save up to 640g/kWh CO2 compared to a diesel powered unit. This zero emission electric generator set will consume about 15-20kgs of hydrogen in an 8-hour period, depending on the average load. When tested under the Type D2 ISO 8178 generator set engine standard, it demonstrates class leading thermal efficiency from the engine of up to 45%.